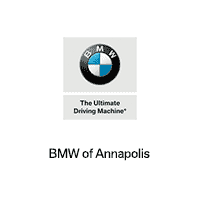 The convenience of having the service center open at 7am and having Jeremy extend himself to get me a loaner even though I didn't need it initially, reassured me of the excellent service I expect of BMW Annapolis. I received the best auto care ever in my experience with BMW. Jane King was my service rep , she was very professional , courteous and super knowledgeable. Highly recommend Great Experience. Very accommodating - service performed in timely manner. Quick response on questions after drop off. This is the 2nd annual maintenance and service exceptional. Service department is very knowledgeable.